You are here: Home / Made by LANXESS / Traveling Light! New York, Athens, Beijing — fall is the traditional time for many of the world’s major marathons. The marathon in Berlin, for example, features 40,000 runners lining up for the start — all of whom know that having the optimal weight can make all the difference. For experienced runners, a rule of thumb says that every kilo shed will improve your finish time by between one and two minutes. 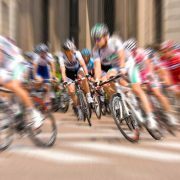 What applies to endurance athletes is also true for speed specialists that other types of “trainers” are trimming down around the world: automobiles. “Everyone knows that extra weight bumps up fuel consumption,” says Ralf Zimnol, Head of Applications Development at the LANXESS business unit High Performance Materials (HPM), which specializes in very resilient plastics. “That’s why you shouldn’t carry around any excess gear in the trunk of your car.” In the world of engineering, there is a similar rule of thumb: an additional 100 kilograms in a mid-range car can mean consumption of 0.5 liters more fuel over a distance of 100 kilometers. 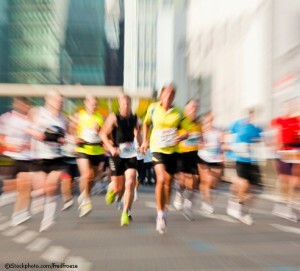 Just like marathon runners, the name of the game for automakers is therefore to ensure that weight is kept to a minimum. When it comes to cutting car weight, plastics are an essential part of an ideal diet. Consider the following fact: polymer materials weigh in at around one-sixth to one-seventh of the weight of steel. Even aluminum is substantially heavier. What’s more, plastics still have a decisive technical advantage over extremely light and expensive materials such as magnesium: hooks and eyes, screw threads, catches, clasps, and the like can be directly molded as an integral part of the component — what engineers refer to as “function integration.” According to Zimnol, it is often possible to design plastic parts in such a way that they replace a number of metal ones. This not only shortens assembly times but also helps lighten the load. After all, using two screws instead of 15 also saves weight! Over the past few decades automotive engineers have rigorously weeded out any metal parts that can be replaced by plastic ones. And that includes not only components in the vehicle interior but also those in the hot engine compartment, such as turbo manifolds, inlet manifolds, throttle valve systems, and engine bearings, all which can now be made of plastic. Today’s high-end materials — exceptionally strong, fiber-reinforced polymers — have similar specifications to steel. But they only weigh half as much, while delivering comparable performance. Nevertheless, there is still a limit to how much weight cars can shed. This is because systems such as airbags, air conditioning, power windows, and all the other technical innovations also add extra pounds. In other words, we need to consider a further question: Can plastic parts be made even lighter? 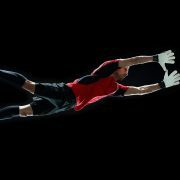 Maybe through the addition of ultra light, high-tensile carbon fibers? That’s certainly an option, but too expensive for the mass market. At LANXESS we already came up with a better idea around 20 years ago. “Ironically, our solution involved the use of metal,” explains Zimnol. Although plastic components are lighter, they often have to be thicker in order to offer the same strength as ones made of steel. Naturally, that offsets some of the weight savings. “So we wondered what would happen if plastic components were reinforced in crucial places by thin metal sheets,” adds the LANXESS researcher. Known as plastic/metal hybrid technology, this idea proved to be right, and it achieved exactly what the engineers had predicted. Today, so-called front ends offering “the best of both worlds” — i.e., complex functional components made of steel sheet and polyamide — are as standard as air conditioning. 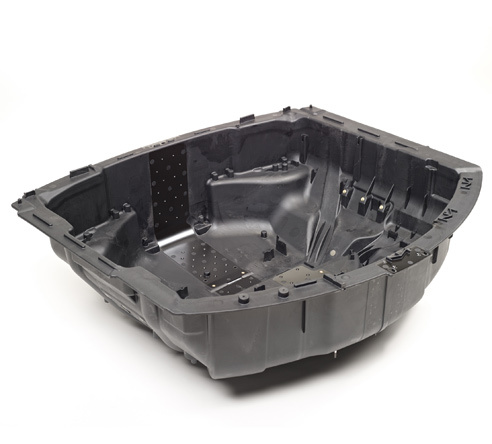 “This hybrid technology from LANXESS has been used to manufacture far more than 40 million of these highly durable structural body parts over the last ten years,” says Zimnol. High-tech hybrid solutions from LANXESS are also a success story in other areas of automotive design. Vehicle components now made of plastic and metal include roof frames, pedal support brackets, and brake pedals. The latter weigh 40 percent less than steel components and also are 20 percent cheaper to produce while being more resilient. 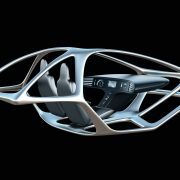 Meanwhile, today’s automobile designers are now constructing doors, tailgates, engine compartment hoods, and even highly durable oil pans out of plastic/metal composite materials with the help of CAD technology. “We’re very closely involved in many of these new developments. 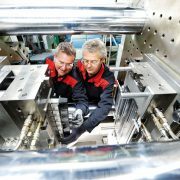 That’s because we have unique know-how in this area of hybrid technology,” says Zimnol.This cooperation also gives LANXESS engineers an opportunity to look at ways of making hybrid components even stronger. One option here is to coat the thin steel sheets with a special adhesive before combining them with the plastic. “In hybrid components,” Zimnol explains, “the polymer and reinforcing elements are bonded by means of small apertures and indentations in the metal. The plastic flows in and through these holes and hollows, dries, and thereby holds the entire structure together. With adhesive hybrid bonding, however, you get a full-surface bond, which can be a lot stronger.” By way of comparison, wooden planks nailed together can, if enough force is applied, be wrenched apart. But if they are properly glued together, this is much more difficult, if not impossible. Another exciting line of development is based on the use of sheets made of plastic rather than metal. These so-called organic plastic sheets are thin sheets of fiber-reinforced plastic that can be pressed into shapes, just like thin metal plates. When these are combined with ribbing and struts made of polyamide, the resulting material can be used to make components whose strength is similar to that of hybrid parts made of metal and plastic, but which are even lighter. And who devised this technology? Once again, LANXESS. “The advantage of hybrid components made of organic sheet is that they feature a substance-to-substance bond,” Zimnol explains. 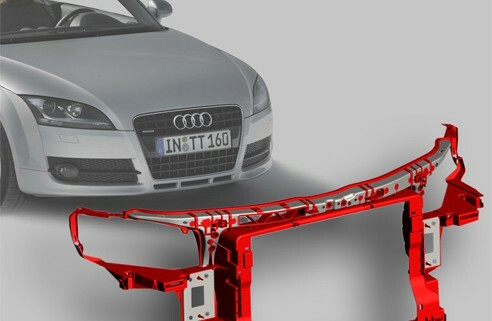 “The polyamide bonds more easily to the plastic of the organic sheet than to metal.” This means the individual components in the material are joined more firmly together, which can be seen in crash tests, for example. 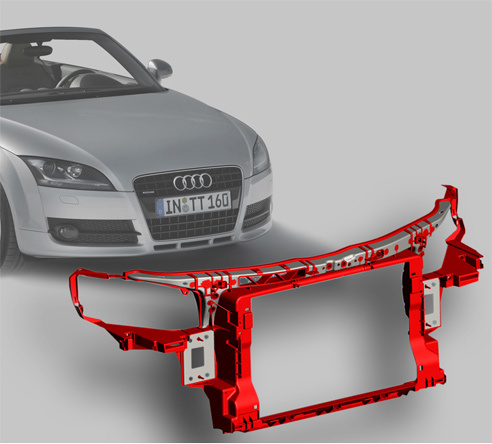 One of the first applications for this composite material is the front end of the new Audi A8. The lower part of this structural component is strengthened with organic sheet. Another advantage, obviously, is that organic sheet doesn’t rust. In recent years engineers at the specialty chemistry group LANXESS have also been taking a renewed look at the polymers that are used for either metal or organic plastic sheets. These plastics are responsible for both the appearance and the function of the finished component. “We now have some new polyamides, such as Durethan EF (“Easy Flow”) and Durethan XF (“Extreme Flow”); these flow even better within the injection molding die than others in our range,” says Zimnol. This means that what are already lightweight components can be designed to be even thinner, since the plastic can be forced through even narrower channels in the mold. At the same time, the manufacturer saves money, because the material doesn’t have to be heated to such a degree in order to make it flow properly. What’s more, thin parts cool more quickly, which results in shorter production cycles. Last but not least, a greater amount of reinforcement fibers can be added to these better flowing polyamides, which makes the resulting components even stronger — and also lighter. 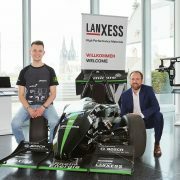 https://webmagazine.lanxess.com/wp-content/uploads/2015/03/I_3_Leichtbau.jpg 444 492 Kerstin Stenger https://webmagazine.lanxess.com/wp-content/uploads/2014/05/lanxess.png Kerstin Stenger2012-06-11 10:02:122016-09-29 10:19:11Traveling Light!